This is a general help page that is intended to answer the most common questions we receive here at the GO-Tech web site. Please read this first, and then call. I don't ever check the mail because of the heavy amount of spam we get after having a web presence for 15+ years. If you need to call, please call 575-835-5685. Leave a general idea of your question and we will get back to you as soon as possible. Please note. Our web site is maintained by students and people who spend 99% of their time doing other things, so we may not be able to handle your special requests. We are not affiliated with either the New Mexico Oil Conservation Division, nor the New Mexico State Land Office. We do provide data that we get from their databases. If you want all the oil and gas production records for the state of New Mexico, this isn't the best place to get it. The state maintains an ftp server and you can find links to it at the NM OCD Web Site. We take responsibility for our data as being the best we can produce, but it is not legally binding. If you have problems with the map server and get an error message 0924 about the requested image being too large to draw, wait awhile and try again, or try a different browser. For a guide to what you can find in this document, see below. - Official OCD rulebook definitions, including what is a barrel, what measurements are made at what pressures, what constitutes a gas well, etc. - all the little caveats about production data in NM that I've learned after 15 years. These codes may help to explain abbreviations of items you see in files you have downloaded from our web site. There are two general sources of data for production data and well activity. Below left is ONGARD data and codes. To the right are definitions from documentation belonging to the old Annual Statistical System. In general we use the ONGARD definitions, but if you are looking at the old books published by the NM Oil and Gas Engineering Committee you may find the older information useful. Information below from ONGARD Code Book, 1994 Some of these codes are used by different agencies for different things. OG6 refers to those used by OCD, OG4 is used mostly by the SLO Royalty Returns Management division. Information below refers mainly to the old pre-ongard electronic tape system. Most abbreviations have remained the same. Approved temporary abandonment the status of a well that is inactive, has been approved in accordance with 19.15.25.13 NMAC and is in compliance with 19.15.25.12 NMAC through 19.15.25.14 NMAC. Azimuth the deviation in the horizontal plane of a well bore expressed in terms of compass degrees. Barrel 42 United States gallons measured at 60 degrees fahrenheit and atmospheric pressure at the sea level. Barrel of oil 42 United States gallons of oil, after deductions for the full amount of basic sediment, water and other	impurities present, ascertained by centrifugal or other recognized and customary test. isolated by a packer or other non-permeable means and open to the formation. Date of completion the date when new oil is delivered into the stock tanks. Development well A well that is not a wildcat well is classified as a development well for the nearest pool that has produced oil or gas from the formation to which the well is projected to be drilled. The operator shall space, drill, operate and produce a development well in accordance with the rule or order in effect for that pool, provided the well is completed in that pool. Deviated well a well bore that is intentionally deviated from vertical but not with an intentional azimuth. Directional well a well bore that is intentionally deviated from vertical with an intentional azimuth. Field the general area that at least one pool underlays or appears to underlay; and also includes the underground	reservoir or reservoirs containing oil or gas. The words field and pool mean the same thing when only one underground reservoir is involved; however, field unlike pool may relate to two or more pools. Gas well a well producing gas from a gas pool, or a well with a gas-oil ratio in excess of 100,000 cubic feet of gas per	barrel of oil producing from an oil pool. Horizontal well a directional well bore with one or more laterals that extend a minimum of 100 feet horizontally in the	target zone. A well with multiple laterals from a common well bore in the same or different target zones or formations shall be considered one well. Vertical well a well that does not have an intentional departure or course deviation from the vertical. Inactive well a well that is not being used for beneficial purposes such as production, injection or monitoring and that is	not being drilled, completed, repaired or worked over. Injection well a well used for the injection of air, gas, water or other fluids into an underground stratum. Lateral a portion of a directional well past the point where the well bore has been intentionally departed from the vertical. Lease a contiguous geographical area of identical ownership overlying a pool or portion of a pool. An area pooled,	unitized or communitized, either by agreement or by division order, or a participating area shall constitute a lease. If there is diversity of ownership between different pools, or between different zones or strata, then each such pool, zone or stratum having diverse ownership shall be considered a separate lease. ¡°MCFD¡± means a thousand cubic feet per day. ¡°MCFGPD¡± means a thousand cubic feet of gas per day. ¡°Mg/l¡± means milligrams per liter. Oil well a well capable of producing oil and that is not a gas well as defined in Paragraph (6) of Subsection G of	19.15.2.7 NMAC. (Ed. Note- in other words, anything not defined as a gas well that produces oil). cased, but the casing is not cemented in place, and is not otherwise isolated from the formation. Operator a person who, duly authorized, is in charge of a lease¡¯s development or a producing property¡¯s operation, or	who is in charge of a facility¡¯s operation or management. Owner the person who has the right to drill into and to produce from a pool, and to appropriate the production either for	the person or for the person and another. Pool an underground reservoir containing a common accumulation of oil or gas. Each zone of a general structure, which	zone is completely separated from other zones in the structure, is covered by the word pool as used in 19.15.2 NMAC through 19.15.39 NMAC. ¡°Pool¡± is synonymous with ¡°common source of supply¡± and with ¡°common reservoir¡±. Recomplete the subsequent completion of a well in a different pool from the pool in which it was originally completed. Shut-in the status of a production well or an injection well that is temporarily closed down, whether by closing a valve	or disconnection or other physical means. Shut-in pressure the gauge pressure noted at the wellhead when the well is completely shut-in, not to be confused with	bottom hole pressure. if a property with wells that produce both oil and gas, produced a daily average of less than 10 barrels of oil per eligible well per day for the preceding calendar year, as determined by converting the volume of gas the well produced to barrels of oil by using a ratio of 6000 cubic feet to one barrel of oil. encompasses a pool or portion of a pool the boundaries of which can be adequately defined and controlled. a well that has produced oil or gas from the formation to which the proposed well is projected to be drilled. a well that has produced oil or gas from the formation to which the proposed well is projected. Well location coordinates are calculated using the Bureau of Land Management (BLM) Geographic Coordinate Data Base (GCDB). This system uses NAD27 as a datum. More information about the GCDB can be found by clicking the link provided below. Calculations to estimate well lat/long were provided by the NM OCD. BLM Website describing the GCDB. If you look at our online maps, you will see areas in producing regions particularly in the SanJuan Basin where there are missing well spots. This is because there are no internal section lines or corners provided in the GCDB that we use to calculate our well locations. There are really wells there, and we apologize for not having those locations. Problems include T27N/R11W, T31N/R06W, T30N/R06W, t29N/R06W and areas around t26N/R03W and the southeasternmost San Juan Basin. We do not have bottomhole locations for directional or horizontal wells. If you are spotting wells on your own map and nothing shows up, make sure you are using the proper datum and projection. Try zooming in to a particular well to see if your wells are spotting in outer space or somewhere south of the Antarctic. If you have problems with the map server and get an error message 0924 about the requested image being too large to draw, wait awhile and try again, or try a different browser. Sometimes Google Chrome can work better. What's the difference between Old Maps and New Maps? Old Maps uses a system that we have run for awhile. All the wells will be spotted, as soon as you start zooming in. You can query or locate things on the map, but you cannot map only the wells that meet a certain criteria. You can only highlight them. New Maps can be operated by either zooming in, or you can query to create a custom map based on your criteria. We don't have all the fields in the database that supports this map, so you may not find what you need (for example production data). Do we have shape files? No. Sorry. Just XYZ files. Please see the What else section for much more information about production data. This is important if you need to know data for wells that were producing in or prior to 1993. You can either view all the data online and copy/paste it to your own spreadsheet, or you can download all the data to a csv file. The best way to search is using the general production data search page and entering as little information as you can get away with. If you need monthly production for a large group of wells, you might use the county files. Links to the county search page is shown in the gray bar. ( links are located in the gray area above the main page content and below the header) at the top of the production data search pages, or a direct link is http://octane.nmt.edu/gotech/Petroleum_Data/county.aspx. County data is by api, by pool, by year. The various databases in the Production Summaries section (allwells and basins) have recent production by year only, and all production for a well is assigned to the pool with the most production. Best bets are either to use the general production data search page and type in the most general version of the operator name. Second best is to use the "search by operator" dropdown lists. These are exact searches so you may need to do multiple searches for one company if they operate under more than one OGRID (operator ID number). Sometimes the only difference is in punctuation or Co. vs LLC. Third best is to download the county files and sort by operator or OGRID - this is if you need a lot of historical production. Pools are defined by a geographic location and a reservoir (usually). If you want production for a specific pool, use one of the dropdown searches ( links are located in the gray area above the main page content and below the header). You can also use the General Production Search Page and type in a pool name - try to be general unless you know the exact name and punctuation of the pool. If you want all the production for a single reservoir formation (eg., Morrow), You can use the General Production Search Page and type in a field name - try to be general and only use the formation (eg., Bone Spring). If you want all the production for a single geographic area (aka field), You can use the General Production Search Page and type in a field name - try to be general and only use the field name (eg., Red Lake). There's a check box for this on the General Production Data Search Page. Currently you need to do that on a by-well basis. Best way is to click on the well to see the information, and then click on the link to production summary. That will show the you pre-93 totals (see the What else page for discussion). If your well was drilled after 1993, you can use the summary checkbox at the bottom of the General production search page and enter the well API. That information is provided by the NM OCD. We have a "jump page" that goes to http://ocdimage.emnrd.state.nm.us/imaging/. How do I use the State Land Office Data access site, and what is it? 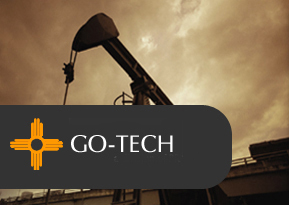 This section of Go-Tech provides access to information that is provided by the NM SLO. We get updated data weekly. The link is right up under the prices, or http://dataaccess.nmstatelands.org/DataAccess/ or in the menus. There's a variety of data - please look at the site for more documentation. Stuff on Land, leases, billing info, lease assignments, operators, and much much more. Older data: PreOngard Data, Frontier Wells Database at http://octane.nmt.edu/gotech/PreOngard_Data/General.aspx or http://octane.nmt.edu/gotech/Well/wellinfo.aspx. Rig Counts: Note you can select months or years at http://octane.nmt.edu/gotech/Rigcount/rigcount.aspx. Price Data: Price data back to '87. Our data sources have changed many times and it isn't that well documented. But it's there and it's free at http://octane.nmt.edu/gotech/Marketplace/Prices.aspx. Water Quality Data: Old water analysis forms were scanned and converted to a database format. Has a lot of produced water data but is not maintained. Groundwater quality from southeast new mexico, again older and not maintained at http://octane.nmt.edu/waterquality/data/nmwaidssamplesearch.aspx or http://octane.nmt.edu/WaterQuality/data/gwatersearch.aspx. Lat/Long Data: X,Y data, see GIS Help tab below for more information at http://octane.nmt.edu/gotech/Petroleum_Data/allwells.aspx. What's a township at http://octane.nmt.edu/gotech/land_description.aspx. More Help: Call me. I don't check the email for this site. Please have a sample of what isn't working available for me to see. A list of operators or pools or counties: Some can be found on OCD website. Or call me and maybe I can help. Well/Operator/field history: Beyond our scope. Sorry. The C-115 Filing software is designed to help those who want to report production to the state and don't have their own system. The Decline curve plotting software is quite old and probably won't work with newer versions of Excel but you can probably debug it. The Decline curve analysis software was designed for the San Juan Basin. We don't support it, but only provide a home for it. AllWells Database containing some well info, lat/long coordinates, and recent production summaries. Well Activity This used to be derived from the state's Well Completion Report and Well Activity Report, which were published weekly. Then we started using the various well tables to compile the information. This is a somewhat buggy database but can be useful and contains a lot of information about completions, plug dates, recompletions, APDs filed, etc. Pricesheet A database of oil and gas price information. This has been maintained since 1987, and was first generated from newspaers, then various online sources. Sources change fairly often and are of varying quality. - a database of info collected from exhibits provided when various companies were trying to get the Basin Dakota classified as a tight gas sand. Old core reports, digitized, among other things. - for several years we scanned and archived State Land Office Lease Sale notices and results. Now they provide the data so we do not update this anymore.2004-2008. - data collected from scout cards for wells that were in areas that weren't considered producing areas. At one time, no info online was available about these wells. Many did not have API numbers. Production data In New Mexico, production data is collected by the Oil Conservation Division of the Energy, Minerals, and Natural Resources Department, a New Mexico state agency. The data is fed into ONGARD - a database containing production related data, land-related data, and revenue/royalty-related data. The ONGARD system was designed in the early 1990's and contains production data from 1993 onwards. Prior to the existence of the ONGARD database, information reported to the New Mexico Oil Conservation Division via OCD Form C-115 was collected into one system called the Annual Statistical System. This system employed the use of an Annual Master Well Record, one for each year, to record the oil, gas, and water production for each well's yearly reported production. Data was reported by location, pool, and well name, but not API. Because the Master Well Record did not use API, it has not always been able to reconcile this data with ONGARD records. Production from wells that were abandoned or even TA'd prior to December of 1992 generally cannot be found in the ONGARD system. The data record for December 1992 for wells active then contained a pre-Ongard cumulative total. Where this is available, we have provided it as part of the single well results functionality. Many of our wells have older data for production by month. We have debated about making this information available, as it is incomplete, but we have elected to do so. If you see wells with non-zero production for years prior to 1993, the data is accurate when checked agains the New Mexico Oil and Gas Engineering Committee Annual Report books. If the production is zero, that doesn't mean it wasn't producing. We just don't have the data. Data was read from old magnetic tapes which were significantly deteriorated. Also, if the well was abandoned prior to 1993, the data was not brought forwards into ONGARD. Thus older data is very iffy. There's really no way for us to backtrack and get that data. We've thought of scanning and OCR'ing the books but that would take many lifetimes for us. Where possible, we matched the old information from the tapes with a well/pool combination in ONGARD and assigned the production to that well. We are fairly confident that our matches are good, where we have done them. The purpose of the Pre-Ongard pages is to present the production for those wells that we have not been able to migrate into the ONGARD database. These wells have been assigned pseudo-API numbers for indexing and identification purposes. Please be aware that the data associated with these wells is often incomplete and may not be accurate for every year. Again, if there's a number there, it is generally been found to match paper records. If there's a zero there, it may or may not be real. Check the books if it is important. We do have a couple of databases that are not up yet. One is pool data for southeast New Mexico, from the early 1950's onwards. This is only annual production by pool, but it is a start. Another is a separate well activity database, generated from the weekly updates by the NM OCD. This may be easier to use, if less comprehensive, than the current well activity data pages. Finally, while we do our best to QC data and web pages, sometimes things slip by or pages break. You may find a well spotting in the wrong county, or a query that produces no results when you know there should be something. It's always worth giving us a call. Again, the phone number is 575-835-5685. If you call, please be prepared to tell us what page broke, or how you got to the result that you are getting that you don't like. That helps us immensely.